State oil giant Saudi Aramco earlier announced deals with major French companies including Total, Technip and Suez. French oil and gas major Total on Tuesday signed a $5 billion deal with Saudi Aramco to build a giant petrochemical complex at their 440,000 barrels-per-day Jubail Satorp refinery. 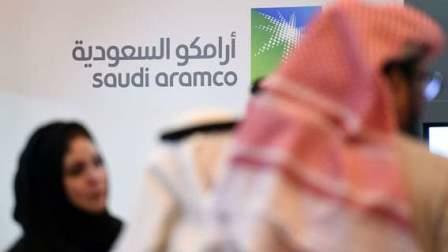 Saudi Aramco holds a 62.5 per cent stake in the refinery, while Total holds the other 37.5 per cent. The memorandum of understanding (MoU) was signed on the sidelines of a visit by Saudi Crown Prince in Paris. "The project will represent an investment of around $5 billion. The two partners are planning to start the front-end engineering and design in the third quarter of 2018," Total said in a statement. Total added that 8,000 jobs would be created by the deal. The complex will comprise a mixed-feed steam cracker with a capacity of 1.5 million tonnes per year of ethylene and related high-added-value petrochemical units, the statement said. The cracker will feed other petrochemical and specialty chemical plants representing an overall amount of $4 billion investment by third party investors, it said, taking the total investment to $9 billion. "This project illustrates our strategy of maximising the integration of our large refining and petrochemical platforms and of expanding our petrochemical operations from low-cost feedstock, to take advantage of the fast growing Asian polymer market," said Total's chief executive Patrick Pouyanne.